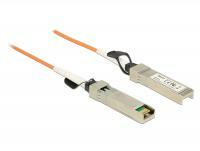 This Twinax Cable is used to connect devices to a switch with an SFP port. You can connect two Ethernet switches or an external storage system to a Fibre Channel controller. 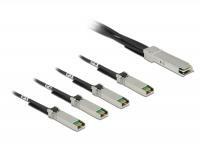 This Twinax Cable is used to connect devices to a switch with an SFP port. You can also connect two Ethernet switches or an external storage system to a Fibre Channel controller. 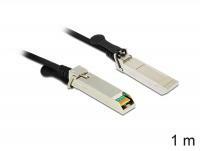 This Twinax Cable is used to connect devices to a switch with an QSFP+ port or two Ethernet switches. 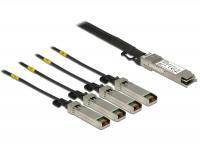 This Twinax Cable by Delock is used to connect devices to a switch with a QSFP+ port or to connect multiple Ethernet switches. 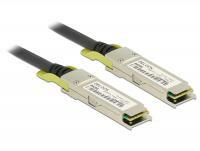 This Twinax cable by Delock is used to connect devices to a switch with a QSFP28 port or to connect two Ethernet switches. This Twinax cable by Delock is used to connect devices to a switch with a SFP28 port or to connect two Ethernet switches. 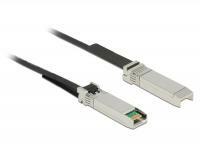 This Twinax Cable by Delock is used to connect devices to a switch with a QSFP28 port or to connect multiple Ethernet switches. 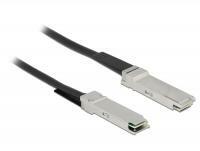 This active optical cable (AOC) is used to connect devices to a switch with an SFP port. You can connect two Ethernet switches or an external storage system to a Fibre Channel controller.